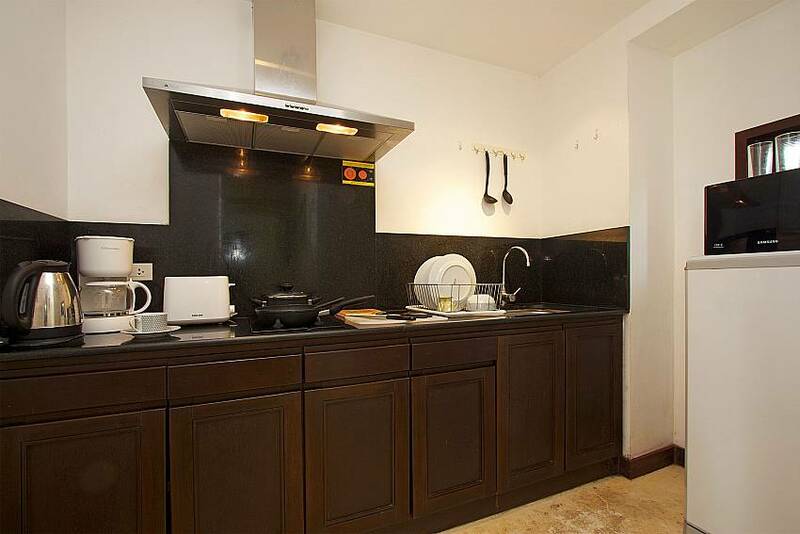 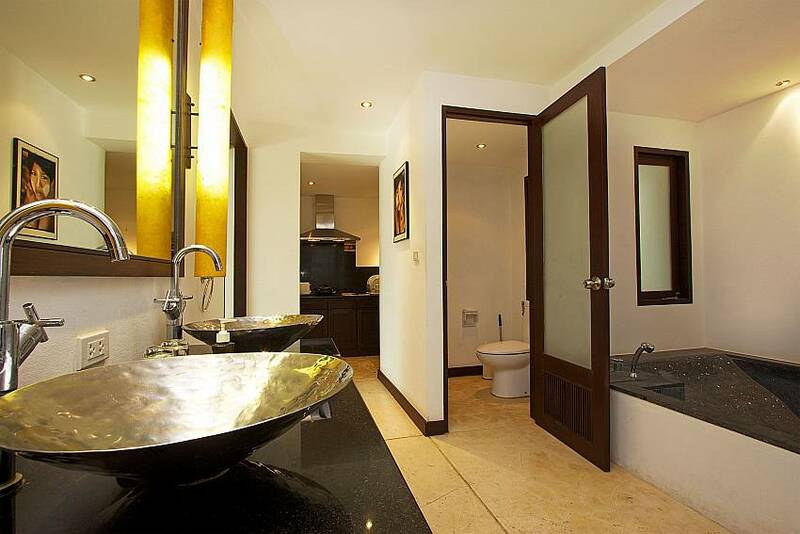 If you like having an array of services and facilities at your disposal, take a closer look at Nirano Villas. 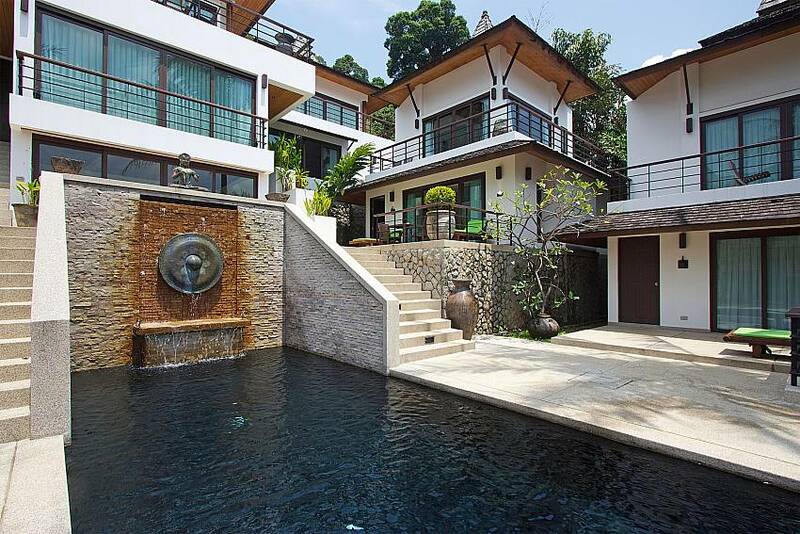 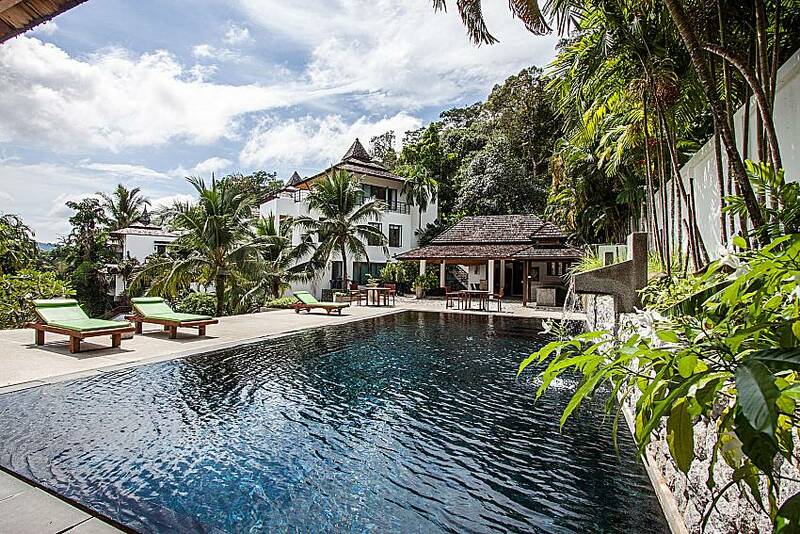 This villa complex successfully merges Asian tropical design with unique and modern décor, and provides a great location, two communal pools, gymnasium, and a lot more. 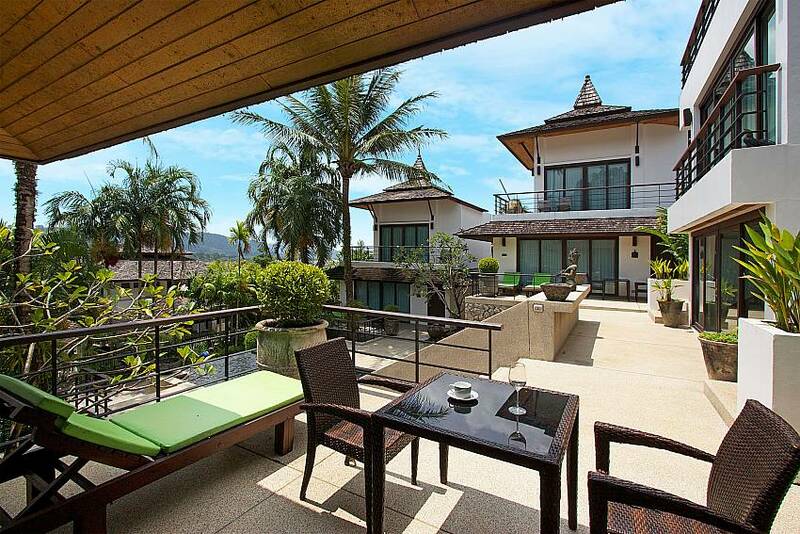 The villa boasts stunning green views as it sits on a hill above a couple of golf courses. 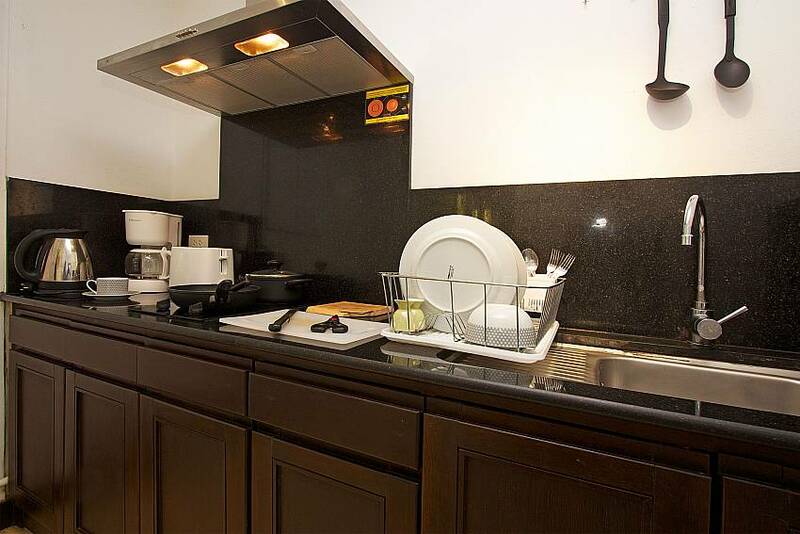 It provides 24 hour security and safe parking in addition to cool breezes and a number of facilities you are welcome to use. 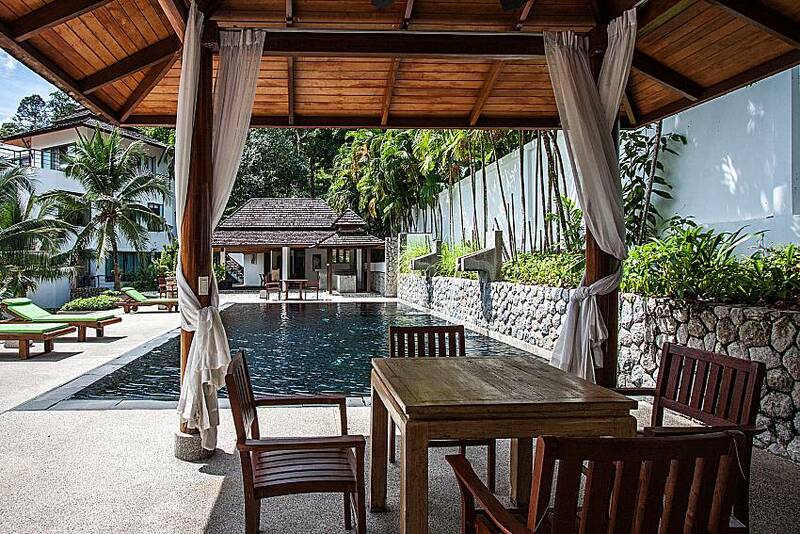 Choose between two swimming pools, stay fit in the gym, order a massage in the massage room, and ask the staff about additional services such as car and motorbike rentals and excursions. 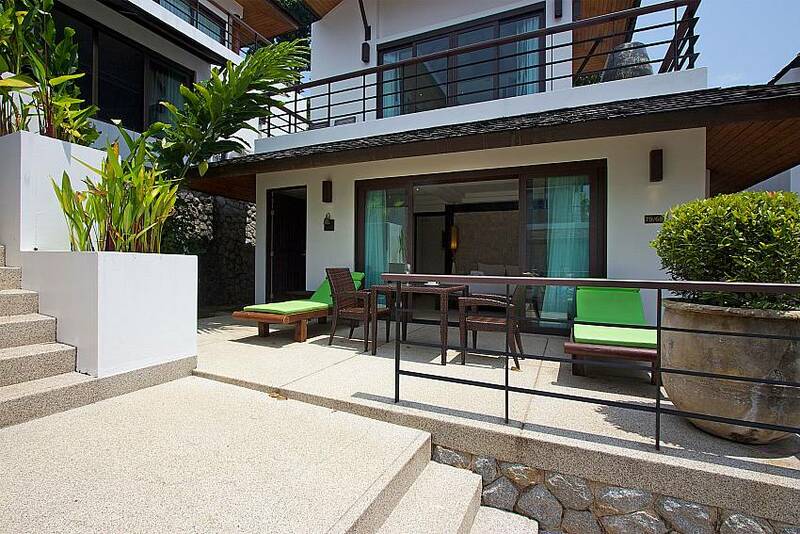 Your home away from home features two bedrooms spread over two floors, two bathrooms, two sun terraces, and a kitchenette. 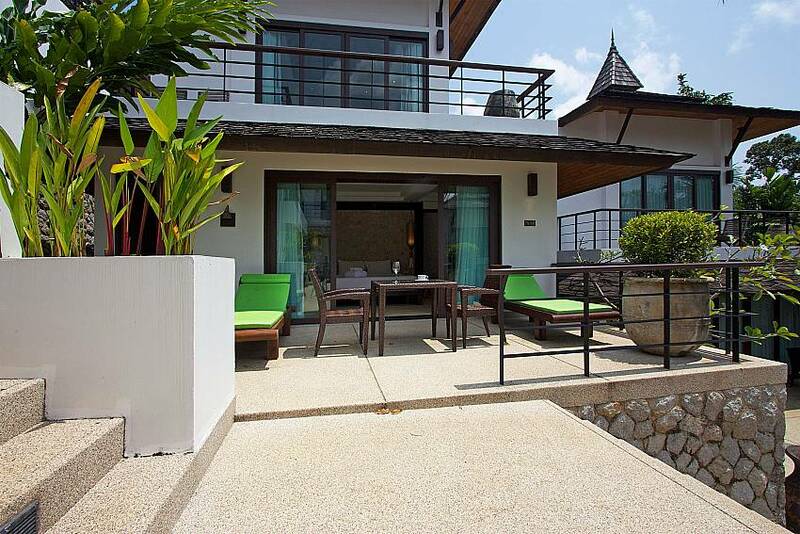 In front of the villa’s entrance you will come across a balcony with two sun loungers, a table and two chairs. 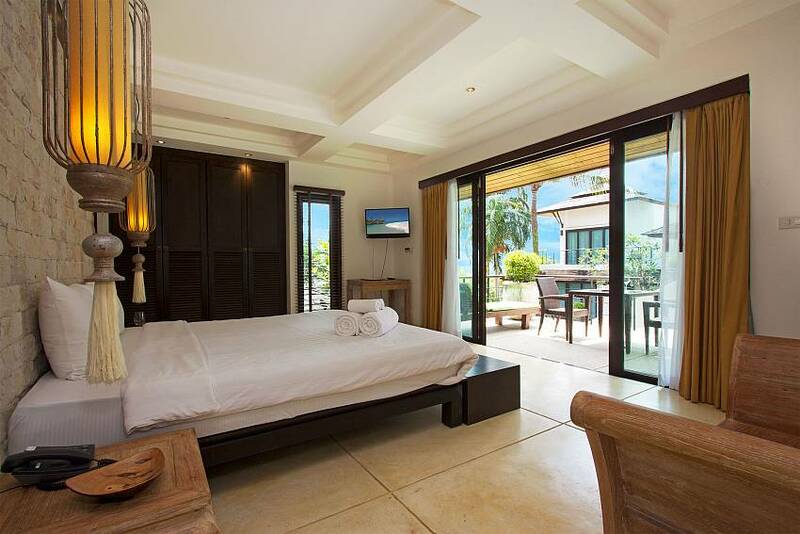 Stepping inside, you will find yourself in the stylish master bedroom that is fitted with a king size bed, wall-mounted TV, safe, and wooden furnishings. 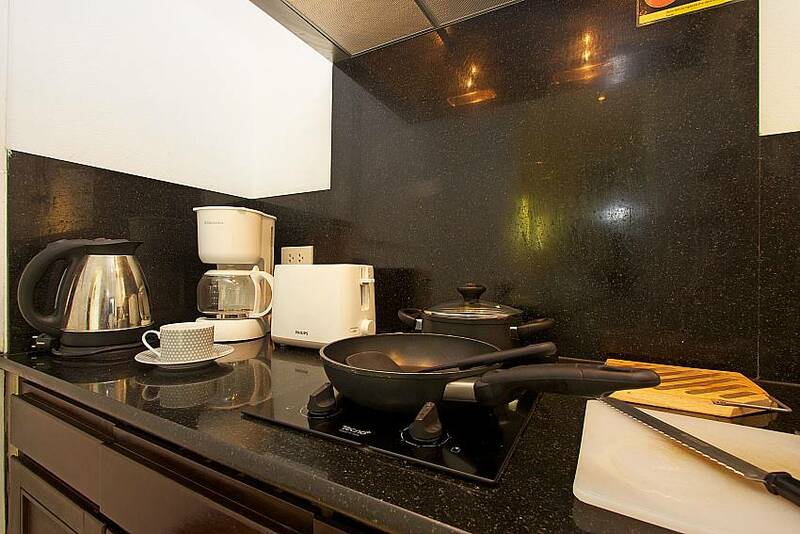 In the back, next to the master bathroom, you will find a kitchenette that features a small fridge, hob, kettle, coffee maker, and toaster. 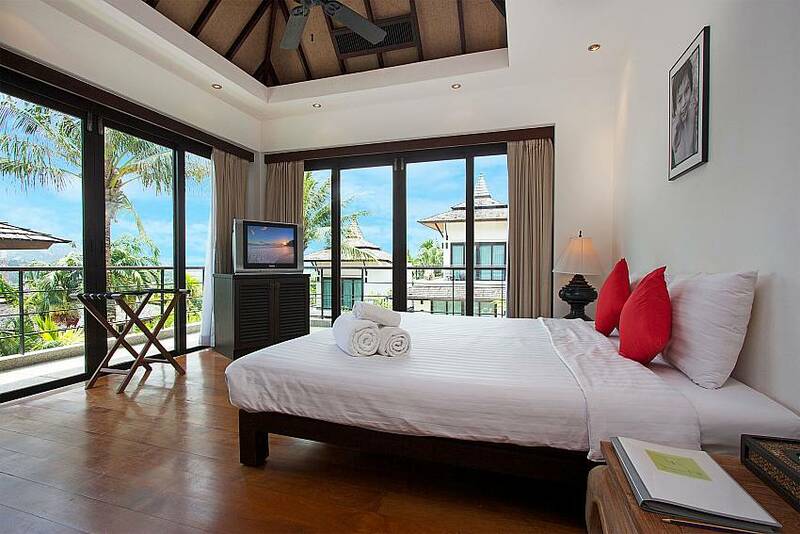 The equally elegant second bedroom is on the first floor, providing magnificent elevated views of the surroundings. 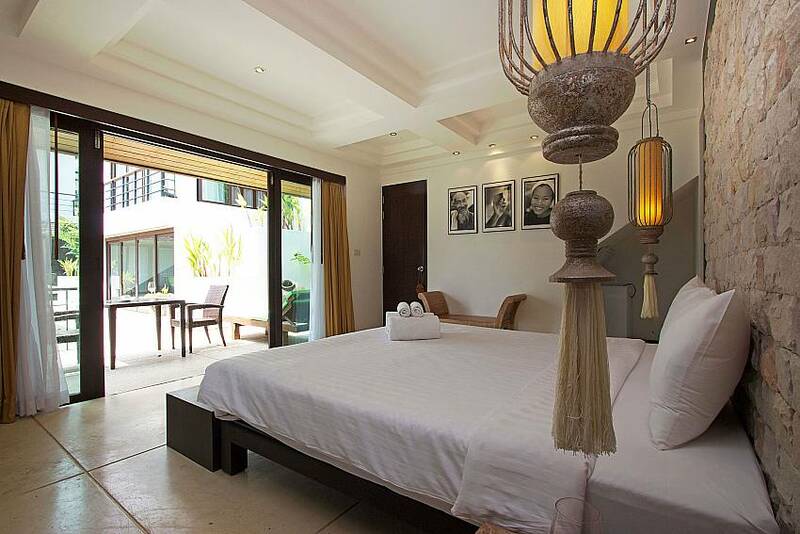 It comes with a king size bed, TV, mini bar, wardrobe with safe, balcony with two chairs, and an en suite bathroom. 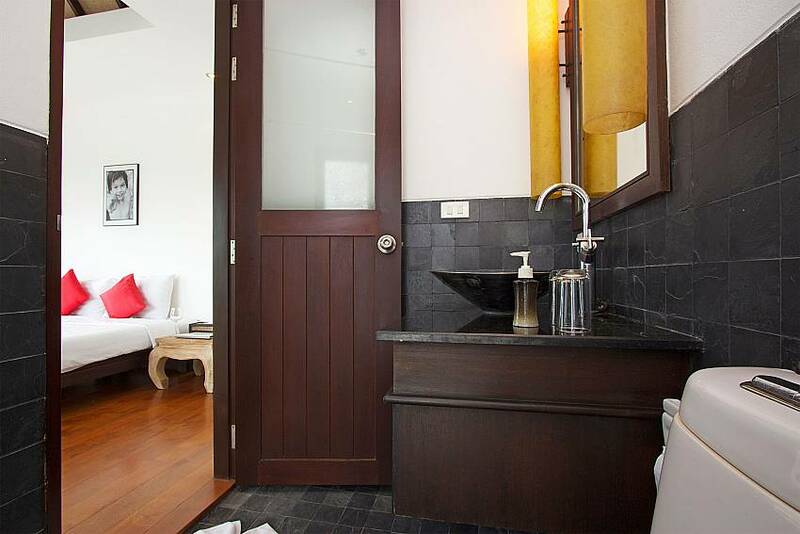 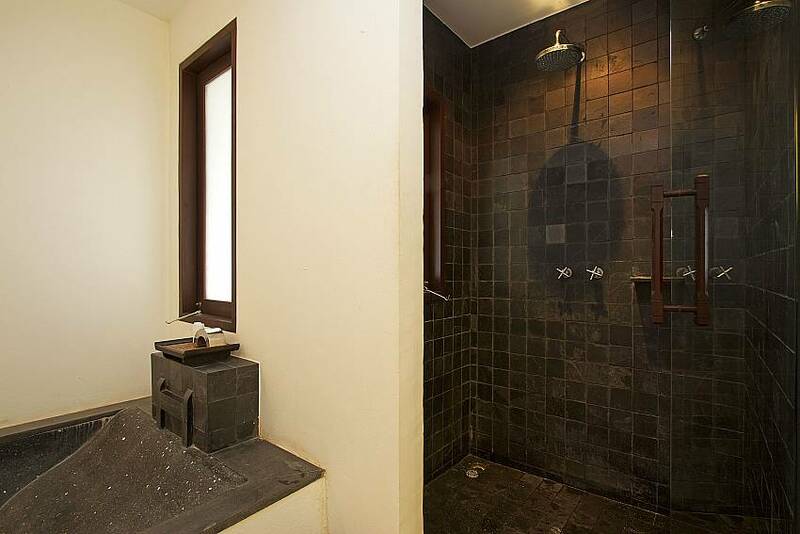 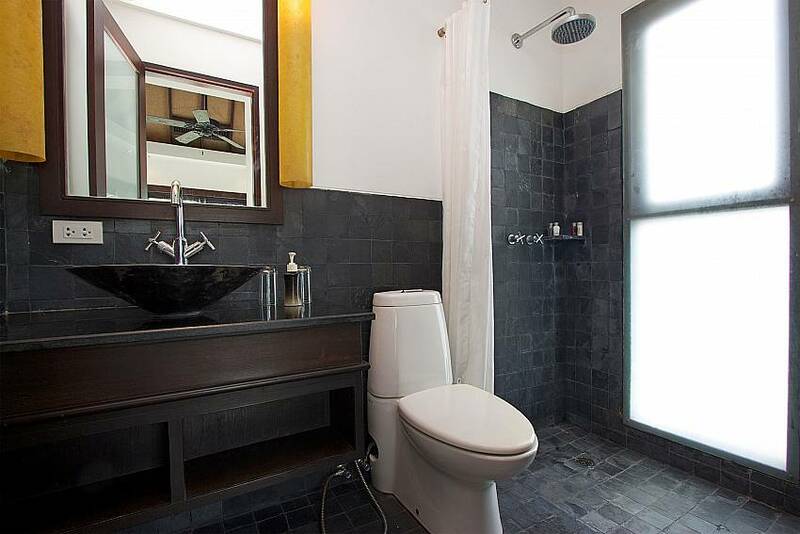 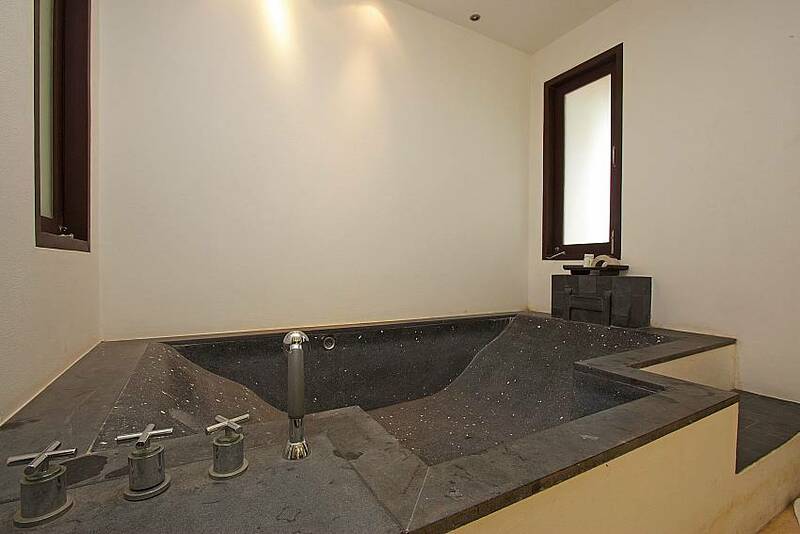 While the second bathroom features a shower, toilet and basin, the master double bathroom comes with a black granite bath tub as well as a rain shower and toilet. 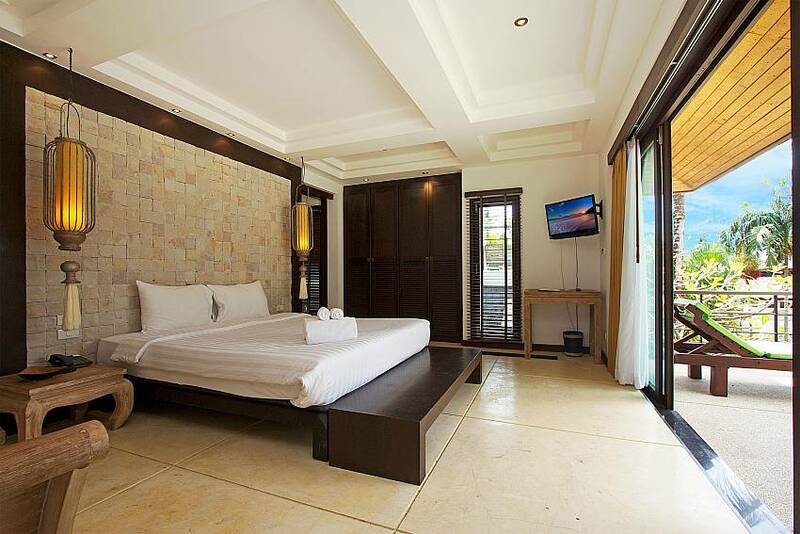 For those that are vacationing with family and friends, the resort has 1-, 2-, 3- and 4-bedroom villas for rent. 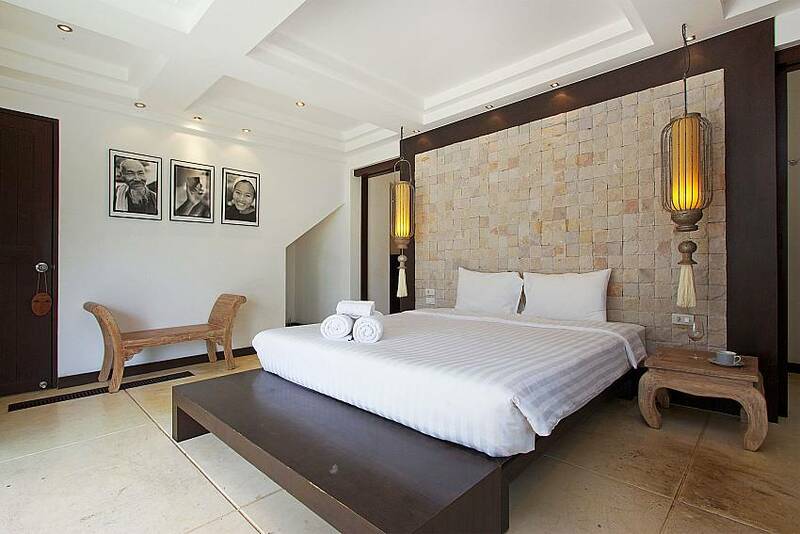 Also, since there are multiple 2-bedroom villas available, please note that their layout and décor may slightly vary. 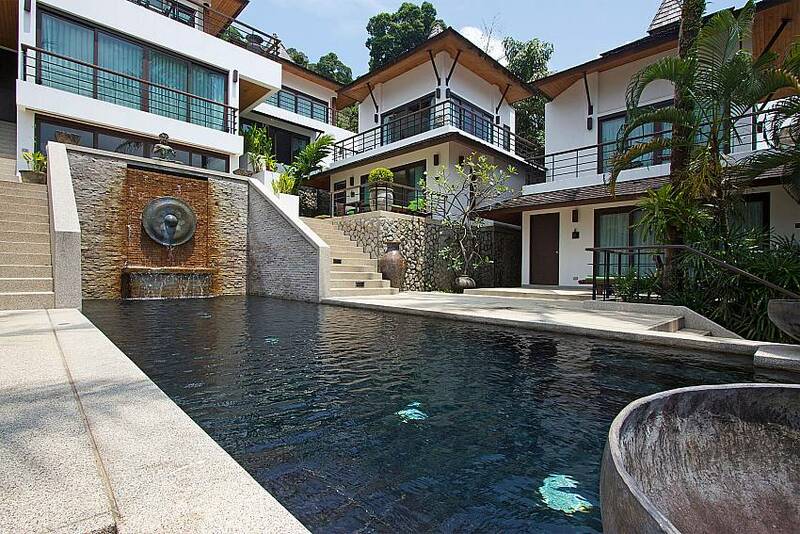 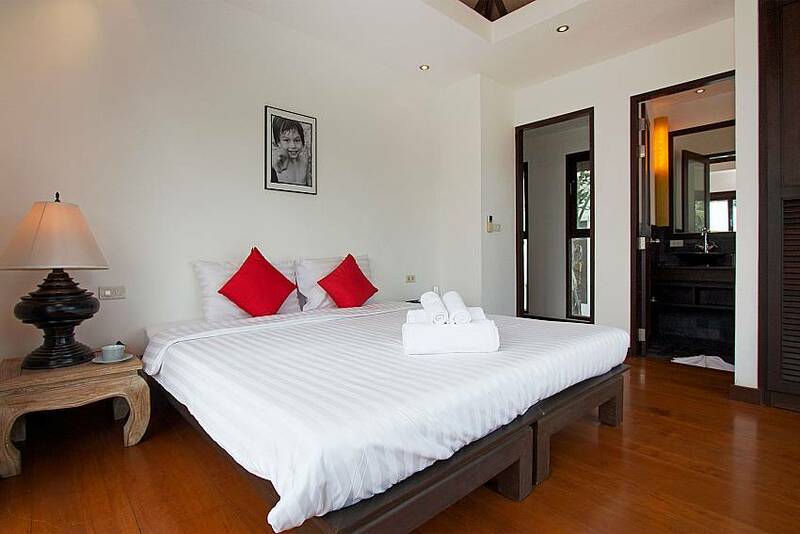 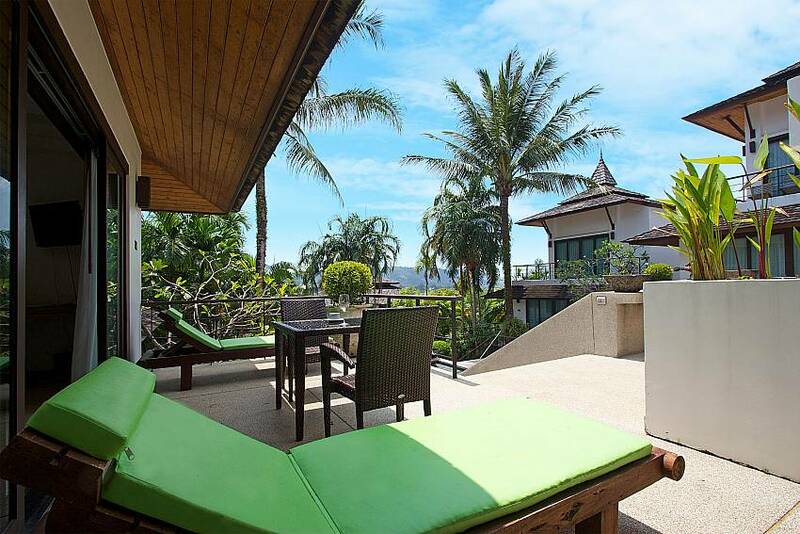 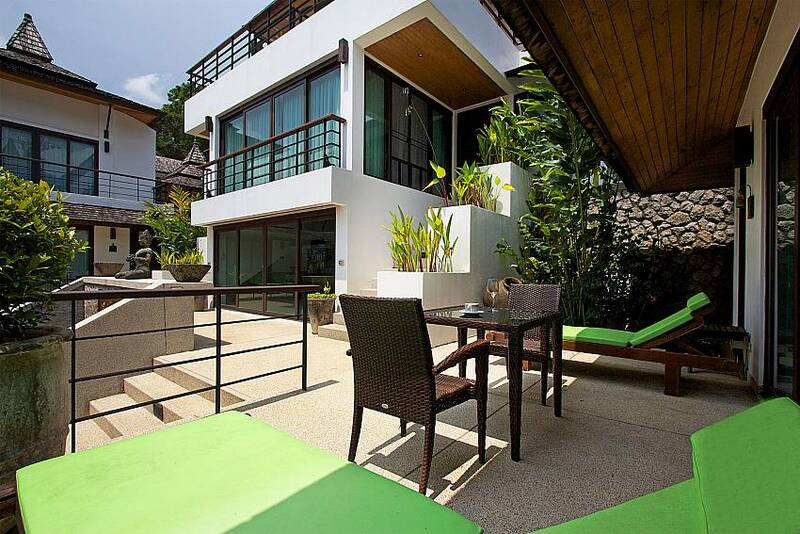 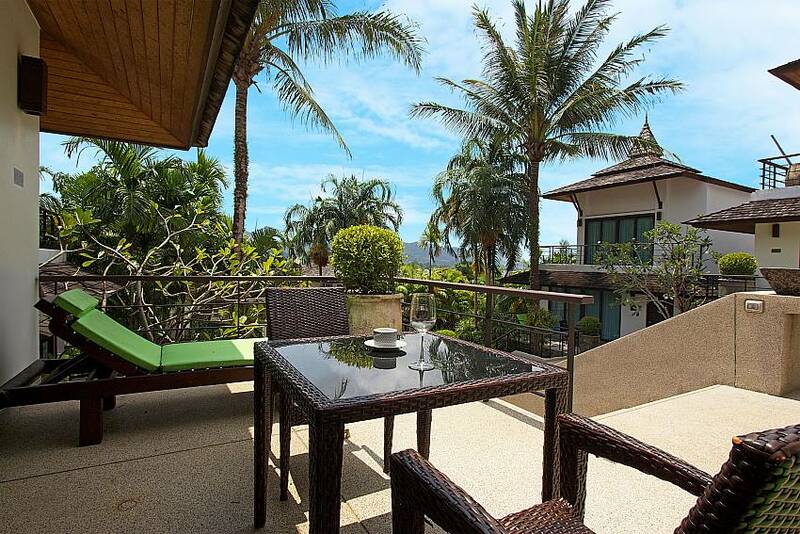 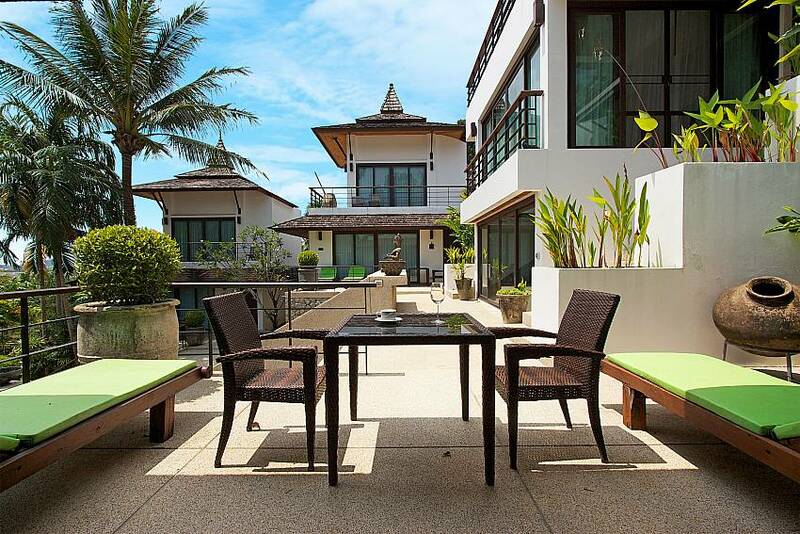 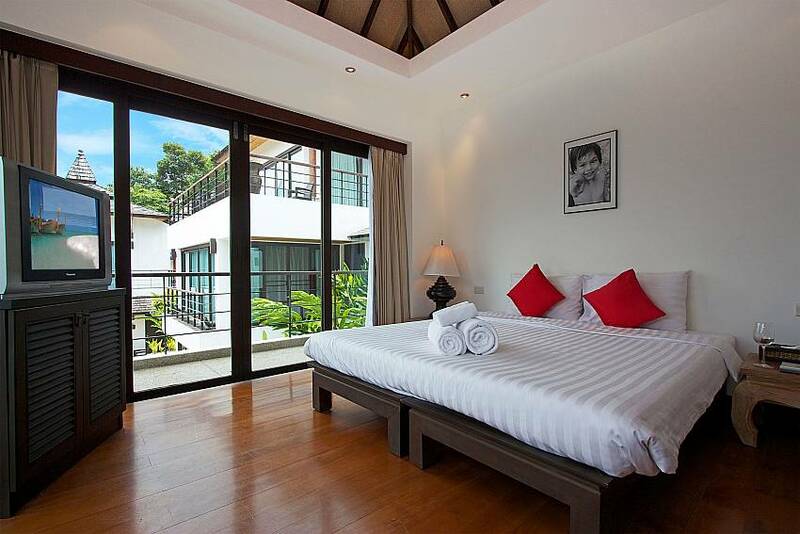 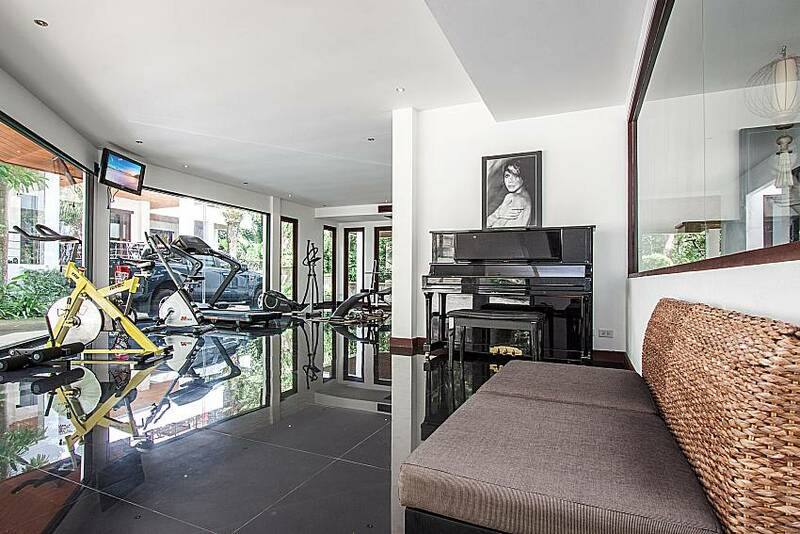 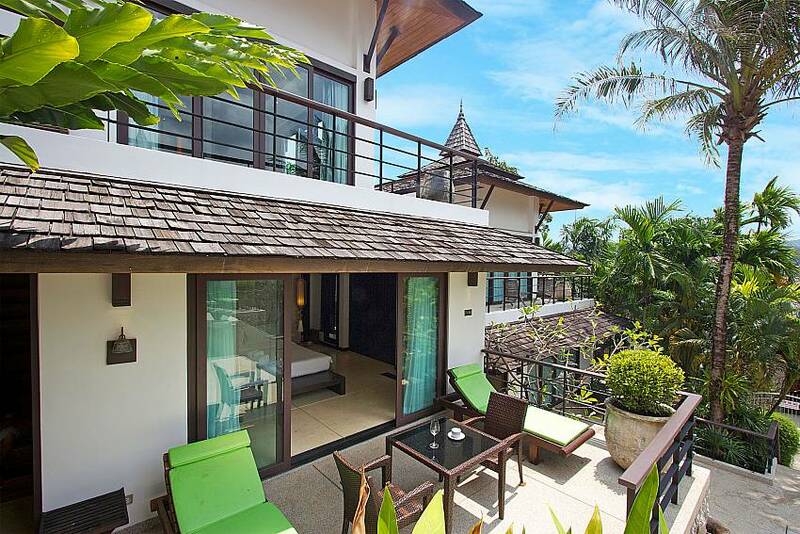 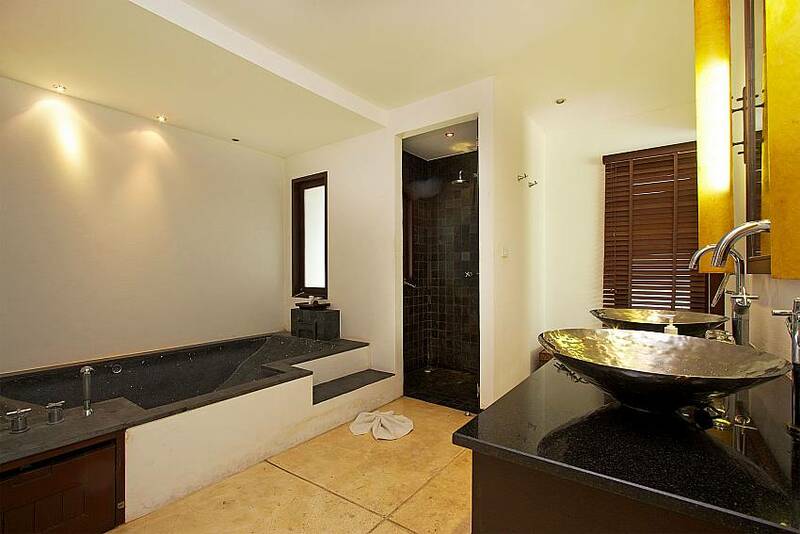 Click here to browse a full list of our Phuket rentals.